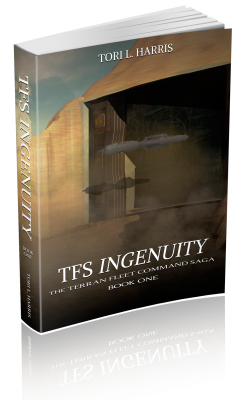 “TFS Ingenuity – The Terran Fleet Command Saga, Book 1” Published!!! At long last, TFS Ingenuity – The Terran Fleet Command Saga, Book 1 is now available for Kindle download at Amazon.com. Please head over to the “My Books” page and pick up a copy today! Thanks, Larry. Early reviews are a HUGE deal on Amazon, so I greatly appreciate your taking the time to leave one. I’m glad you enjoyed the story so far! ReAlly good read. Too short!